The garage door doesn’t budge, no matter how many times you press the button. And it’s then you realize your door’s sensors aren’t working. Garage door sensors are crucial to modern garage doors because they can tell when something is obstructing the door, sending a signal to the opener system that allows the door to open and shut. This small piece of equipment has saved many people from injury and damage to cars and property. Garage door sensors work by way of “eyes” that emit a beam of infra-red light. Garages have two sensors, one on either side of the door. Both of them need to be working for the garage door to work safely. This means that their infra-red beams have to be lined up. If one or both of the sensors isn’t working, call a service company to check it. Sometimes, the problem with the sensors is as simple as dirty lenses that the homeowner can simply clean. The two garage door sensors also might be out of alignment. Other problems are more involved and may require the assistance of professionals like those at Garage Door Pros. 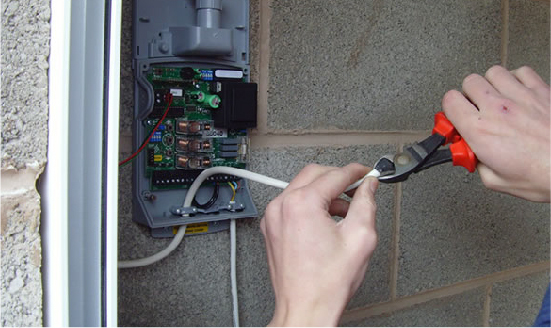 There might be problems with the wiring or even water damage from rain or rodents chewing the wire and causing a shortage. Which means it’s time to call Garage Door Pros. Serving the entire South Florida Community since 2012, our certified experts at Garage Door Pros are trained in all aspects of garage door installation, repair, and maintenance. From fixing broken springs to troubleshooting faulty garage opener systems to detecting bad sensors, Garage Door Pros has you covered. And after the major work is done, we’ll keep you on track with one of our maintenance plans, ensuring you don’t have any major issues to deal with in the future. Having a broken garage door sensor can be really difficult to deal with. Overlooking the convenience that comes with an automatic lifting garage isn’t ideal. There are many reasons why people choose to install a sensor to remotely open and close it. There are a countless number of benefits that will come with choosing to hire a reliable team to get the job done. Over time batteries will fail and things that get in the way may cause the sensor to fail. Staying on top of the maintenance of your garage door sensor will keep you ahead of the game. With the right tools you can easily prevent any major problems down the road. If you are dealing with an issue that’s beyond your scope of fixing, then we have a solution for you. Our professional team has everything needed to repair or replace your current garage door sensor. While there are many reasons why a door sensor may have failed you it’s important to start off with the obvious. Checking if batteries in your garage door remote have gone bad is usually the first step. If you feel that the issue isn’t with your batteries its recommended that you change them anyway just to make sure. Another reason why your garage door sensor may not respond is due to obstruction. The garage door safety sensors operate by shining an invisible beam of light across the floor to detect if an object is blocking the door. Something as simple as a box in the way will cause your garage door to not respond. Dust is also a culprit when it comes to getting in the way of sensors. Your sensors just may need to be cleaned off, so try to gently remove any dust or dirt first and see if that works. How to Test Your Garage door Sensors Before Replacing It? This is a quick way to check in the wiring system in your sensor has failed. We found a great step-by-step way to check and see if your garage door won’t close because of a sensor error. Remove the sensors from the brackets. 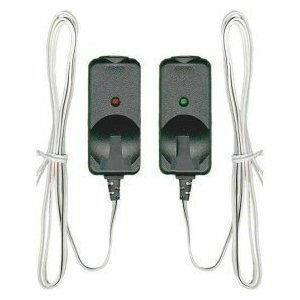 Strip both ends of wires from each sensor and twist like colored wires together. If you have tested all that has been stated above, you may need a new garage door sensor installed. There is a countless number of options for you to choose from. The price ranges from mid-range to high depending on the distance of the sensor. With our team by your side, there is no doubt that things will get working properly. Getting started is an easy process and is fairly simple to do. Give us a call whenever you are ready to get started and don’t miss out on a great opportunity. Before skipping steps and thinking that your garage door is broken you need to run a few tests. We have exactly what you need in order to get the job done properly. Reduce your morning stress. Contact Garage Door Pros today for a free estimate.